This list provides an overview of books dealing with music and the mind, the way we perceive music, and the pertinent scientific, philosophical, psychological, social, and cultural issues. Music and the Mind. Anthony Storr. Free Press (hardcover), Ballantine Books (paperback). 1992/1993. ISBN 0029316219 (hardcover), 0345383184 (paperback). 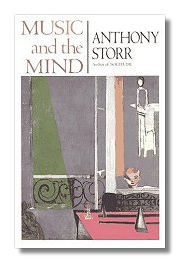 Drawing on his own life long passion for music and synthesizing the theories of Plato, Schopenhauer, Stravinsky, Nietzsche, Bartók, and others, distinguished author and psychologist Anthony Storr illuminates music's deep beauty and timeless truth and why and how music is one of the fundamental activities of mankind. A look at music and its relation to human perception traces the origins of music and its functional development in human society as entertainment, communication, and therapy, arguing for the universality and centrality of music. The Aesthetics of Music. Roger Scruton. Oxford University Press. 1999. ISBN 019816727X (paperback). Leading aesthetics authority Roger Scruton offers a comprehensive account of the nature and significance of music from the perspective of modern philosophy. Taking on various fashionable theories in the field, Scruton presents a compelling case for the moral significance of music, its place in our culture, and the need for taste and discrimination in performing and listening to music. 250 music examples are included. 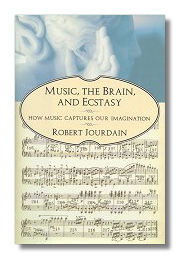 Music, the Brain, and Ecstasy - How Music Captures Our Imagination. Robert Jourdain. William Morrow & Company (hardcover), Avon Books (paperback). 1997/1998. ISBN 0688142362 (hardcover), 038078209X (paperback). Bringing together discoveries from neurophysiology, psychology, music theory, and philosophy, Robert Jourdain moves from the simplest aspects of music, such as sound and tone, to the more complex, like composition and performance. In clear, accessible language and writes about the extraordinary array of physical and mental functions involved in the appreciation of music. 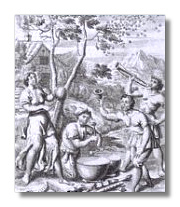 Music, the Brain, and Ecstasy is divided into chapters on the basics of sound and aspects of music and the way music is perceived, then it considers the neurological and emotional adaptations of composers and musicians to the demands of the music. He notes that there is no proof that any particular brand of emotionality is tied to musical greatness. Stretching the mind in every dimension that music occupies, Robert Jourdain encourages one to think like a paleontologist, a neurophysiologist, an acoustician, a psychophysicist, a musicologist, a composer, a performer, a sociologist, a linguist, and a philosopher. He looks at the evolution of music, and introduces surprising new concepts of memory and perception, knowledge and attention, motion and emotion, all at work as music takes hold. Emotion and Meaning in Music. Leonard B. Meyer. University of Chicago Press. 1961. ISBN 0226521397 (paperback). This volume establishs a foundation for a thorough study of the basic issues pertaining to music theory and aesthetics, and the the relationship between musical perception and meaning. Music & Meaning. Jenefer Robinson (Editor). Cornell University Press. 1997. ISBN 0801432995 (hardcover), 0801483670 (paperback). In order to promote new ways of thinking about musical meaning, this volume brings together scholars in music theory, musicology, and the philosophy of music, disciplines generally treated as separate and distinct. This interdisciplinary collaboration, while respecting differences in perspective, identifies and elaborates shared concerns. 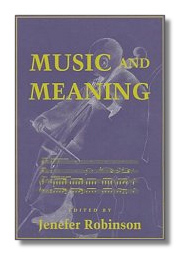 This volume focuses on the many and various kinds of meaning in music. Do musical meanings exist exclusively in internal, formal musical relations or might they also be found in the relationship between music and other areas of experience, such as action, emotion, ideas, and values? Also discussed is the vexed question why people listen to and apparently enjoy music that expresses unpleasant emotions, such as melancholy or despair. Among the particular pieces the writers discuss are Mahler's Ninth Symphony, Shostakovich's Tenth Symphony, and Schubert's last sonata. More broadly, they consider the relation of musical meaning and interpretation to language, storytelling, drama, imagination, metaphor, and emotion. Adorno's Aesthetics of Music. Max Paddison. Cambridge University Press. 1998. ISBN 0521433215 (hardcover), 0521626080 (paperback). This book provides an introduction to the aesthetics and sociology of music of the German philosopher and music theorist T. W. Adorno. It is the only book to deal comprehensively with this topic and it has quickly established itself as a classic text. 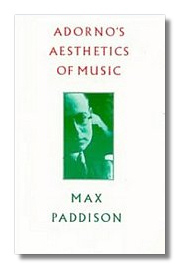 Paddison's control of his material has given him the perspective to go beyond mere emulation of Adorno's methods to a useful critique of his musical enterprise. It is a book that one can present without embarrassment to graduate students conversant with the most up-to-date intellectual currents. Both in its contents and in its example this book constitutes an utterly reliable as well as endlessly rich guide to what may be the most important and most difficult musical thought of the last century. 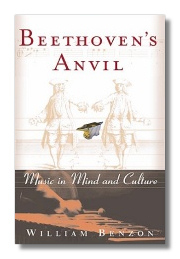 Beethoven's Anvil: Music in Mind and Culture. William L. Benzon. Basic Books. 2001. ISBN 0465015433 (hardcover). Why does the brain create music? In Beethoven's Anvil, cognitive scientist and jazz musician William Benzon finds the key to music's function in the very complexity of musical experience. Music demands that our symbol-processing capacities, motor skills, emotional and communicative skills all work in close coordination-not only within our own heads but with the heads (and bodies) of others. Music is at once deeply personal and highly social, highly disciplined and open to emotional nuance and interpretation. It's precisely this coordination of different mental functions, Benzon argues, that underlies our deep need to create and participate in music. Music synchronizes the brain and has had a profound, and little-appreciated, influence on the shape of the mind and human cultures. This book it offers a sweeping vision of a vital, underappreciated force in our minds and culture. The Recording Angel Explorations in Phonography. Evan Eisenberg. McGraw Hill Book Company. 1987. ISBN 0070190518 (hardcover), 014011338X (paperback). 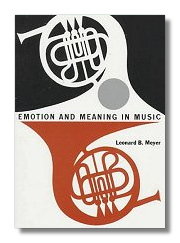 A book about the different ways we perceive music and perhaps a little of what music means.